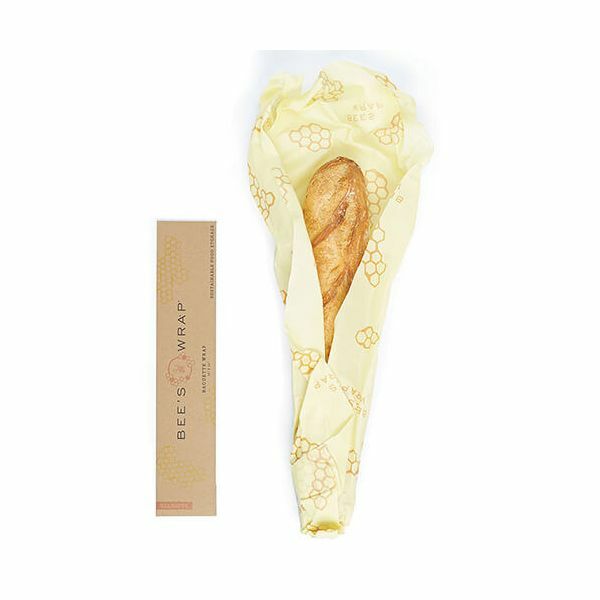 This Bee's Wrap Single Baguette Wrap is the perfect size to store a shop bought or homemade baguette, keeping the inside soft and the outside nice and crusty. The wrap measures 14 x 26 inches (35.5 x 66cm) and is made from sustainably harvested beeswax, organic cotton, organic jojoba oil and tree resin. Simply soften the wrap using the heat of your hands. 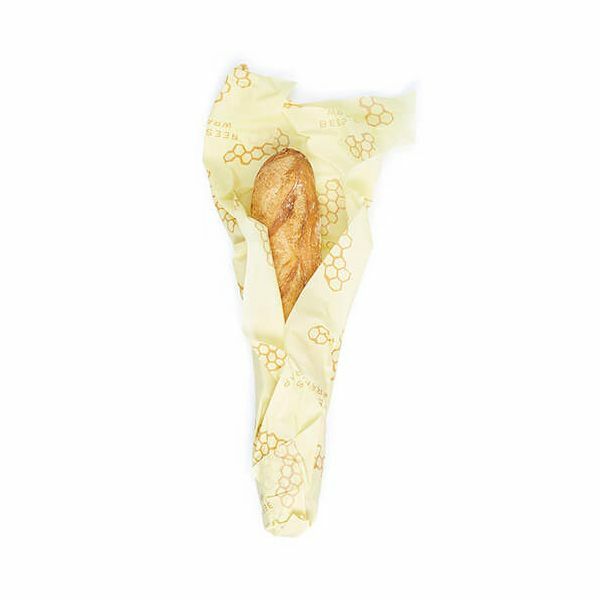 Wrap and create a seal around the baguette. When the wrap cools it will maintain the shape you created. 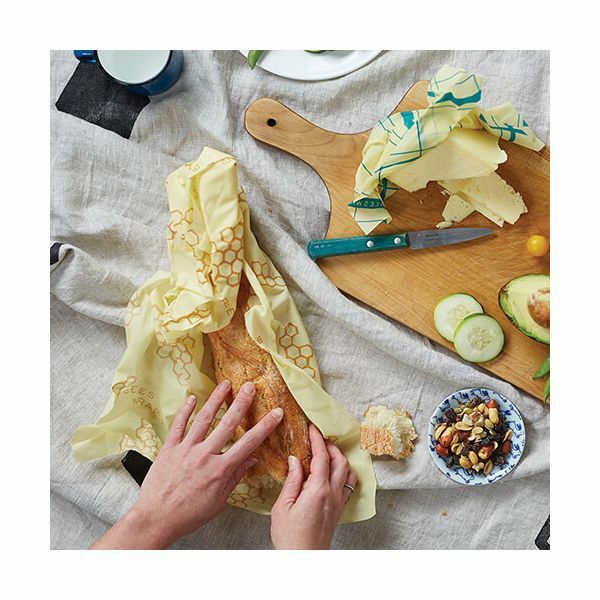 Beeswax and jojoba oil have antibacterial properties which help keep your bread fresh as well as allowing each wrap to be used over and over again.